Ben Brooks-Dutton's wife - the great love of his life - was knocked down and killed by a car as he walked beside her, pushing their two-year-old son in his buggy. Life changed forever. Suddenly Ben was a widower deep in shock, left to raise their bewildered child alone. In the aftermath Ben searched for guidance from men in similar situations, but it appeared that young widowed fathers don't talk. Well meaning loved ones admired his strength. The unwritten rule seemed to be to 'shut up, man up and hide your pain'. Lost, broken and afraid of the future, two months after his wife Desreen's death, Ben started a blog with the aim of rejecting outdated conventions of grief and instead opening up about his experiences. Within months Life as a Widower, had received a million hits and had started an all-too-often hushed conversation about the reality of loss and grief. This is the story of a man and a child who lost the woman they so dearly love and what happened in the year that followed. Ben describes the conflicting emotions that come from facing grief head on. He rages against the clich s used around loss and shows the strange and cruel ways in which grief can take hold. He also charts what it means to become a sole parent to a child who has lost their mother and cannot yet understand the meaning of death. Through the shock and sadness shine moments of hope and insight. 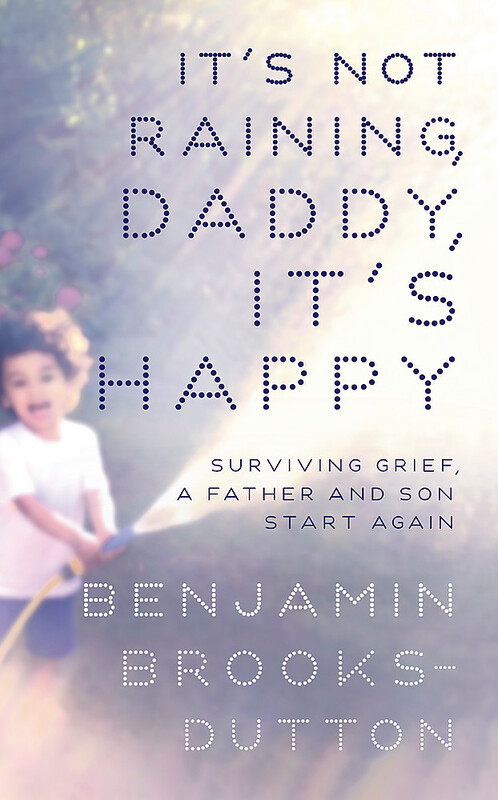 So much of what Ben learns comes from watching his son struggle, survive and live, as children do, from moment to moment where hurt can turn to happiness and anger can turn to joy. This is a story of loss, heartbreak and courage. At its heart is the funny, infuriating and life affirming relationship between a father and son and their ongoing love for an extraordinary woman. Ben was born in 1979 in Southport, where he lived with his parents and two elder brothers until he left home for university aged 18. After studying for four years in Leeds and Spain, Ben embarked on a career in public relations, which lasted 12 years and saw him take charge as the managing director of a large PR firm in London in 2012. Just months later his wife, Desreen, was hit and killed by a car leaving Ben a widower and sole parent to their two-year-old son, Jackson. Ben started a blog called Life as a Widower two months after his wife's death in a bid to help others by opening up about his own experiences of grief. Within months the blog amassed a worldwide audience united in grief and became the precursor for Ben's first book. He and Jackson live together in southeast London.